Team Members | Step up. Stand Out. Make A Difference. Each and every team member has a role in maximizing our sustainable efforts. Please review these helpful tips and keep them in mind every day at work. Limit preheating of steam tables, grills, broilers and ovens. Use a clock to measure the amount of time needed for a piece of equipment to heat up. Turn on only when ready. Keep oven doors closed as much as possible. Use the window to view baking progress. Avoid distractions when loading or unloading products. Avoid using aluminum foil when possible. If needed, put the shiny side in to avoid reflecting the heat of the oven. Run exhaust fans when necessary and turn off when not needed. Fans will simply discharge the heated or cooled air from the building. Use lids on pots. Don’t waste away precious energy. Turn off all equipment not in use. Consider condensing foods to turn off steamers, heat lamps or other warming units not needed. Label your freezer and refrigeration units to avoid keeping the door open to search for foods. If the kitchen and servery has a separate thermostat, raise or lower the thermostat when leaving to avoid unnecessary heating or cooling expenditures. Minimize packaging of products. Use what is necessary. Keep strong records to avoid food waste. Follow ServSafe guidelines to utilize leftovers in soups or other dishes. Use proper utensils for portion control. Partner with your clients in new ways to recycle, reduce and reuse. Download tips in a .pdf to post at your dining center. AVI's fresh food trays are recyclable. Inform our customers and encourage recycling. Many AVI hot beverage machines are equipped with automatic sensors. If your location has such machines, encourage your customers to utilize their own reusable mug. If machines are being underutilized, speak to our clients about consolidating machines to save on energy usage. Utilize pull-down napkin dispensers to avoid the tendency for our customers to "hoard" napkins. Take care when stocking and filling machines. Have product ready to minimize "open door" time for stocking refrigerated machines. To reduce paper usage, utilize email for communication instead of fax whenever possible. Power all computers down each night. They waste away precious energy even when not used. Be sure your branch is recycling everything possible including cardboard, plastic and paper. Always turn off your vehicles, even if you will just be a minute. Check air pressure in tires of all vehicles to optimize mileage. Keep your vehicle air filters clean. Set printers to utilize both sides of a sheet of paper when possible. Always route unnecessary supplies back to the Headquarters Service Center. Download tips in a .pdf to post at your vending location. Utilize your own mug for hot beverages from AVI vending machines. Recycle your plastic bottles in designated receptacles. Work without a paycheck... or at least a paper check. A new paperless option is available for many of our team members. Contact the payroll department for details. Shut the lights off in your office whenever you step away for more than a few minutes. Change your print settings to duplex. Never throw an envelope away! Use it to route information to and from branches or other departments. 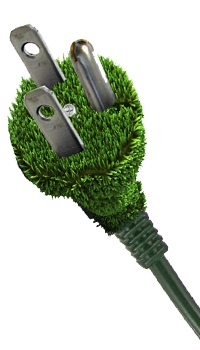 Unplug appliances that are not used everyday. Use rechargeable batteries instead of disposables. Think before you print. Use the screen to proofread changes first. If you do print, use both sides of a piece of paper. Send all used ink cartridges to the mailroom for recycling. Double check your desk before ordering additional office supplies. Schedule meetings and workshops at convenient times to avoid having to duplicate travel for our field team members. Carpool to off-site meetings and training events. Work with 1/2 of the lights or no lights on bright sunny days. Recycle, reduce and reuse! Be creative in environmental initiatives. Download tips in a .pdf to post in your department. As a family-owned and operated business, we especially value the relationship that every team member has with his or her family and we seek to preserve, cultivate and nurture this bond. AVIFoodsystems.com | AVIFresh.com | AVInutriSOURCE.com | Contact Us | © Copyright 2013. AVI Foodsystems, Inc. All Rights Reserved.